Khloe Kardashian has given birth to her first child in Cleveland, Ohio, just days after a cheating scandal broke with troubled boyfriend Tristan Thompson. The reality TV star was surrounded by sisters Kourtney and Kim Kardashian, and “momager”, Kris Jenner as she welcomed her daughter into the world. The birth arrived at the same time a cloud descended over Kardashian's relationship with Thompson. The NBA star has been accused of cheating on her in recent days, sparking a massive social media backlash. On Tuesday, TMZ and Daily Mail published photos and video of a man they identified as the NBA basketball star kissing and fondling various women. One video was shot last Saturday inside a Manhattan club. The other, picturing two women kissing and groping him, was filmed last October in Washington, D.C. Neither the Kardashian clan nor Thompson has commented on the rumors. Thompson is also the father of a 16-month-old son with ex-girlfriend Jordan Craig. 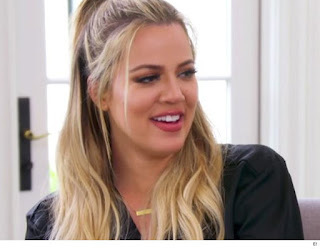 Khloe's younger sister Kylie, 20, gave birth to a baby girl named Stormi in February.